Last September I stepped off a plane in Munich, Germany, ready to start my year studying and working abroad. 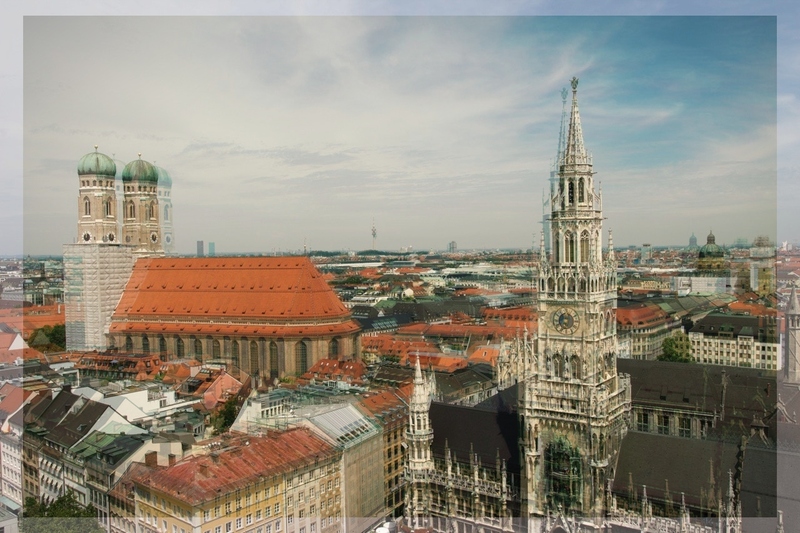 Munich, Germany’s 3rd largest city, the beer capital of the world, lies in southern state of Bavarian, with the rolling views of the Alps in its background. The year that followed was beyond doubt one of the best experiences of my life so far. That’s not to say that there were of course some ups and downs. But instead of recounting every great, or challenging time of my year in Munich, here are five things I learnt on my year abroad…Enjoy! No one can be expected to be happy 24/7, it’s not possible. But it’s the ups and downs in life that make this roller-coaster worth riding. Yes, you are having this amazing experience of living in a new city, exploring its hidden secrets and getting to know people around you…what’s not to love? But sometimes we simply crave the comfort of home, of sitting in silence with your long term bestie, of not having to socialize. We miss are family, our cats (or dogs), we miss the familiarity of the safe, predictable space back home. It is ok to feel like this, but it’s also important to realize it’s also ok to fight back, to acknowledge how you are feeling but look to the positives…keep yourself busy, develop those friendships and go out and make those memories. Feeling homesick is part of living abroad, but just try not to let it ruin your time away! Living in Munich for a year, studying and working with people all around the world, makes you realize just how far and wide you can go. All the amazing experiences people share with you, from that friend who travelled around South America for a year, or the colleague that worked in every corner of the world, from meeting an amazing mix of international people from all walks of life and getting to learn more about their culture. What’s not to love? There’s always something to talk about, something to learn, and cultural quirks to share. From living in a small North Yorkshire village, where having an Austrian Dad was out of the ordinary, to coming to Munich this international hub, I learned that living and working abroad is something that I would love to do again, and sooner rather than later! In practical terms, my year abroad taught me that the day is long (in a good way) and there is so much you can actually achieve if you set your mind to it. I’m not saying you should over-work yourself, but having to work full-time, as well as finalize a year abroad project, made me appreciate that my time is precious, and I should spent it wisely. There are so many things you can accomplish when you get up and out, and leave Netflix behind! I’ve always been a pretty motivated person, but since my year abroad I have become even more determined to achieve my goals, big and small, which also spurred me on to get this blog up and running! Living abroad, and living alone for the first time was both a challenge and an amazing experience for me. At times though, especially during periods where some of my international friends moved away or finished their internships, I did feel a little lonely. For me it takes a while to really let people in and get me talking about my feelings (I find it easier to write those down in a diary). But being away from home and away from those friends I had known for years, the friends I trusted with everything, I realized that it really is important to let people in! I have made some truly incredible friends in Munich, and all because I took that leap and shared what I was really feeling and thinking. I believe the experience made me a better person, and being able to return the favour when someone else needed that support was also pretty cool! Failure leads to success. That might seem like a strange statement but it’s true. Without mistakes we can never learn, and without pushing ourselves out of our comfort zone we’ll never experience anything new. While I am not suggesting you out of your way to mess things up and make mistakes, you should never be afraid of trying — always be open to the risk of failure. Whether it’s learning a new language, or taking up a new hobby, no one is perfect straight away. It takes a lot of work, determination, and mistakes until you master your goals. We learn from our mistakes so just keep looking up, aiming high and growing from your experiences. My year abroad has made me realize just what I am capable of, overcoming mistakes and growing, I now have a wealth of personal and professional experience to take with me into the future.